Looking for a quiet, wooded area away from the hassles of everyday life? Maybe you just need a place to unwind and listen to the sounds of nature while reading a book or maybe even writing one yourself? 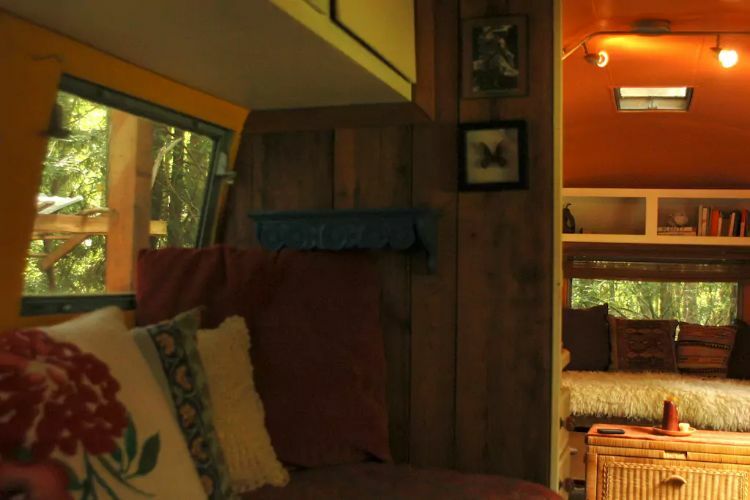 In Port Townsend, Washington, we found an Airstream that is perfect for when you need that brief getaway. 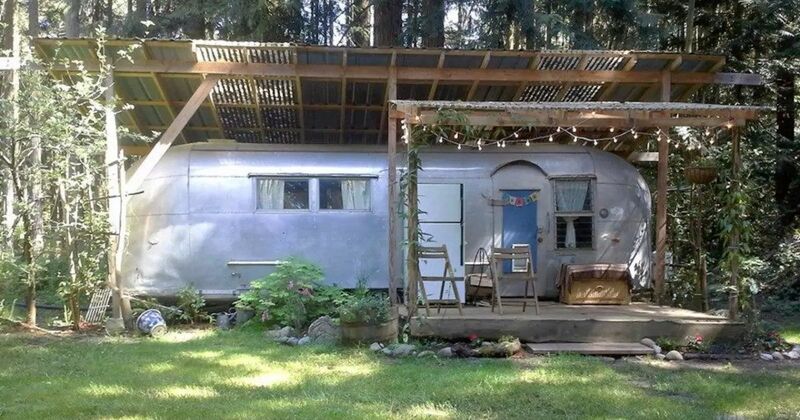 This rustic, 1964 Airstream is available to book through Airbnb. 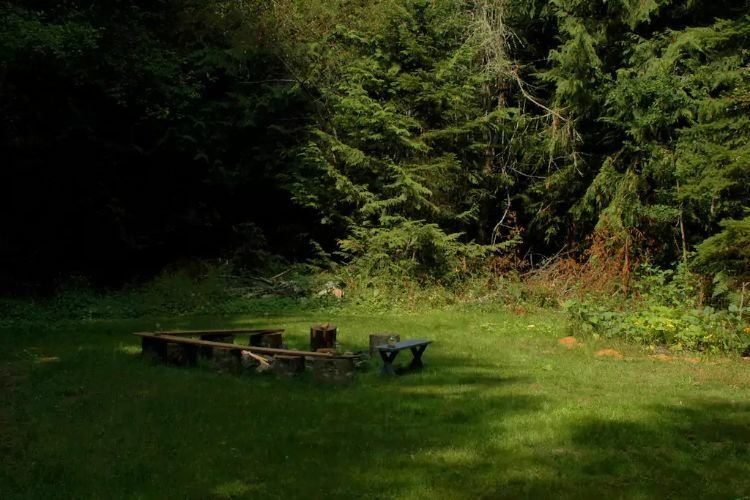 If you love camping and being surrounded by wilderness, this remote location will be a treat. 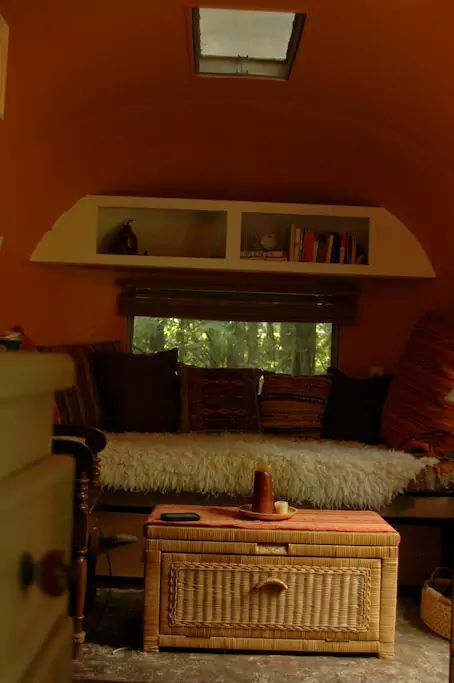 The Airstream is great for providing comfort and warmth while also being a place to unplug for a while and get back to nature. 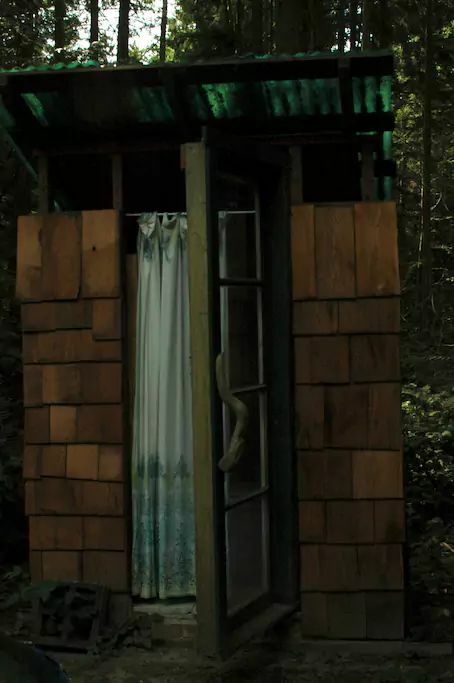 The trailer has an outhouse but does not have a shower, so in that sense, it is a little more like "traditional" camping, but there's nothing wrong with that. Take a look for yourself! Imagine cozying up on this couch with a warm cup of tea and forgetting about the work week, something you're worried about, or checking things off of your to-do list. Just enjoy yourself. The host as made all sorts of additions giving the place a ton of character. Whether it is a picture on the wall or a fun pattern on a throw pillow, there is always something to look at here. 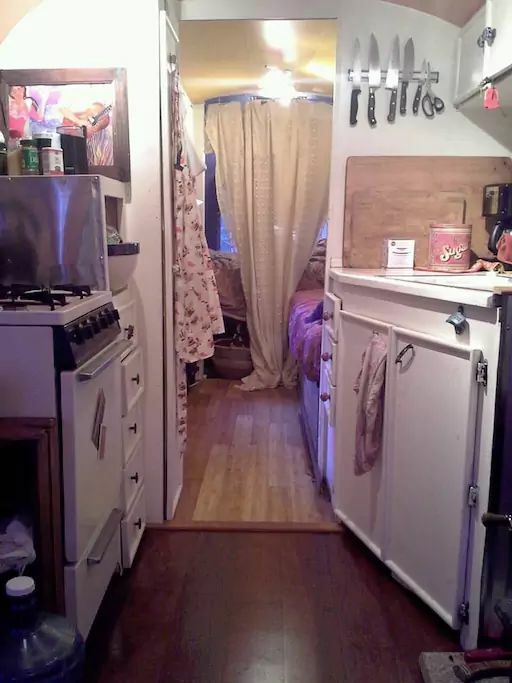 The kitchen is equipped with everything you need for cooking either indoors or outside over the fire. 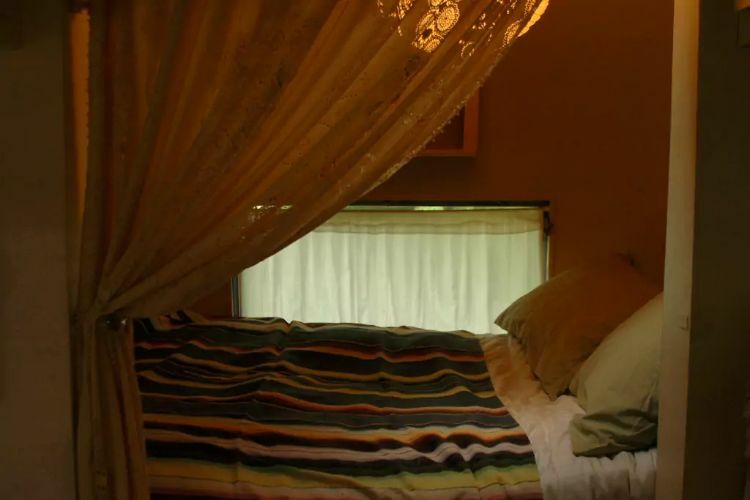 Since there is no restroom in this Airstream, that means there are more seating and storage areas in the bedroom. 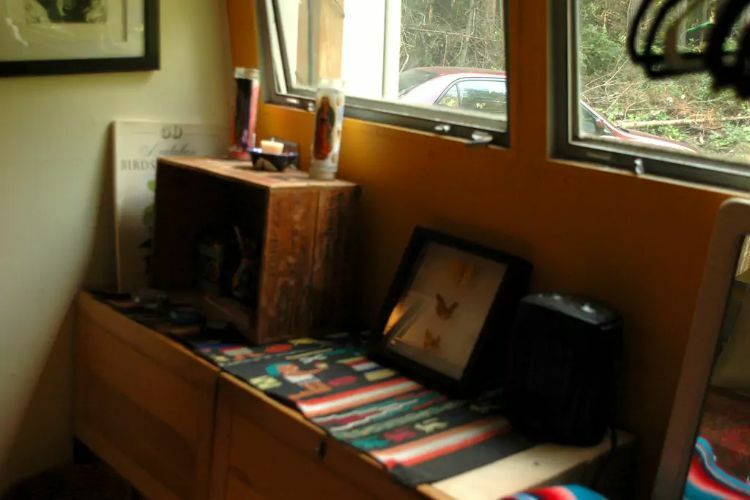 The outhouse is about 50 steps away from the Airstream and is equally charming. You won't want to leave before sharing stories around the campfire.